My name is Dina Werthenbach. I am a dress- and pattern maker living in Sivas, a small village in the south of Crete. The first pieces of the ΙΩ collection were created in 2008 when I came from Cologne to Crete from the need to set up a household with few resources. The lamps, baskets and boxes I needed I made from the materials that I found here. From sisal, hemp and raffia that are used in agriculture. 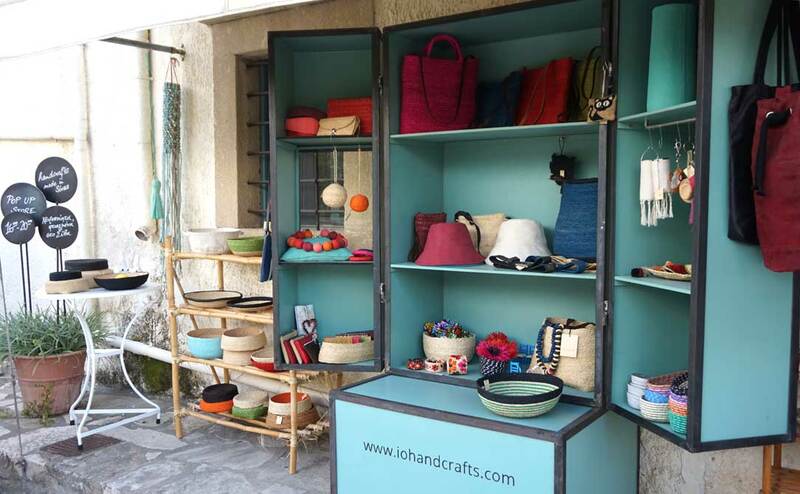 In fact exactly the methods of the old traditional Cretan crafts.